That’s the simplest way to describe the company Phil Wagner has built. 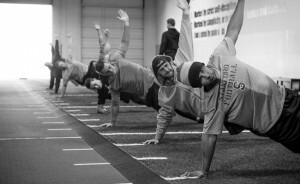 The cutting-edge Bay Area training facility is based on a foundation of science, technology and passionate coaching. SPARTA trains athletes at all levels, from pros like Jeremy Lin and the Colorado Rockies to collegiate student-athletes and high school competitors. A veteran in the industry, Wagner founded SPARTA with experience in working with athletes from all over the world in places like Australia, New Zealand, South Africa and both US coasts at renowned training facilities. Based on these credentials, his venture was established with credibility in coaching and training athletes and a desire to raise the bar. And that’s exactly what he does. In the training of athletes, assessing and treating injury correctly is critical. SPARTA focuses largely on implementing proven injury prevention and recovery methods to assist athletes in reaching their peak potential. Since founding SPARTA in 2008, Wagner’s work has been based on his passion for advancing the science of elite athletic performance, and a large part of that falls in line with advancing the field of sports injury prevention and recovery. Aside from injury reduction, SPARTA focuses on four key elements: Technology, The Tribe, Coaching, and The Program. Scientific innovation is the driving force behind which Wagner founded SPARTA. Using two Kistler© Force Plates coupled with SPARTA’s MiSparta software, Wagner and his colleagues employ the SPARTA Scan to comprehensively test and monitor the nervous system of every athlete, developing a unique Movement SignatureTM for each. 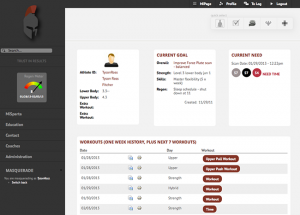 The resulting Movement SignatureTM is used by SPARTA in their detailed assessment of every athlete. By their definition, a Movement SignatureTM is a ground reaction force profile used by an athlete as a neuromuscular solution to move more efficiently. Based on the force exerted by the ground on a body in contact with it, SPARTA’s technology provides insight into injury risk, optimal success in certain skills and sports and the body’s realistic ability to adapt. With the data provided by each athlete’s personalized Movement SignatureTM, SPARTA develops a training program that best allows the athlete to step up his game. The data is updated consistently, thoroughly explained and studied by the coaches and athletes together, and provided to the athlete via MiSparta software – a tool especially useful for remote SPARTA athletes. SPARTA athletes aren’t simply handed a training program and left to conquer the progress on their own. They work in sync with SPARTA coaches who guide them through their programs, explaining data and Force Plate results, while ultimately allowing the athletes to take ownership of their work. SPARTA, at its core, is all about the passion of the coaches. SPARTA employs professional elite coaches who work with the athletes to bring their performance to the next level – a level they may not be able to reach on their own. Wagner, along with coaches Jordan Troester, Phil Brady and Dave Howarth, make up the SPARTA Performance Team, a highly credible group of experienced ex-athletes with a passion for what they do and a background in sports science. 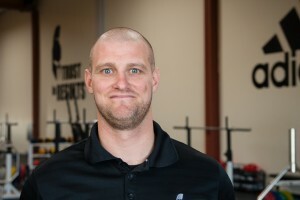 With a degree in Exercise and Sports Science from Texas State University, Brady has worked for Vives Training Systems, the Florida Marlins, The University of Texas and Life Time Fitness. Working with professional and everyday athletes, he refined his dexterities as a coach and a sports scientist. 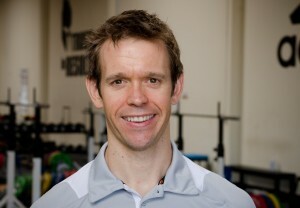 Brady received praise at these positions for his ability to connect with the athletes he works with and his incredible understanding of the biomechanics of an athlete’s body. Originally from Australia, Howarth was a Rugby athlete. 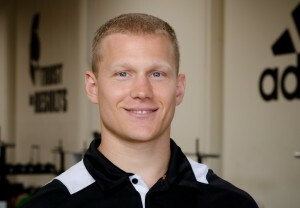 During his athletic career, he developed a passion for strength and conditioning and pursued that by earning a degree in Applied Science in Sport and Exercise Science. 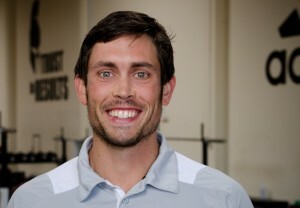 With that degree, Howarth worked as a weightlifting coach, performance and movement analyst and strength coach for elite athletes while simultaneously learning from the best strength coaches and sports psychologists in the field. Under owner Wagner and general manager Richard Heal, who brings 30 years of experience to SPARTA, the facility and program is innovative and cutting-edge. Training some of the best athletes in the world of professional sports all the way down to high school athletes, SPARTA sets the bar high for strength and conditioning training and innovation. Constantly changing and improving based on feedback from the SPARTA plate, the athletes and coaches, the SPARTA program is dynamic and responsive to the athletes who use it. 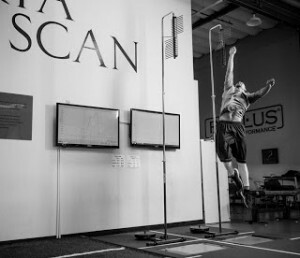 With a program built on the science of sport, biomechanics and technology, SPARTA is able to comprehensively track progress in the athletes they work with. “Trust in Results,” SPARTA’s mantra, is essentially the foundation for their ever-growing and expanding program, and the reason they are able to continually progress – because of their unique attention to the details in the results. 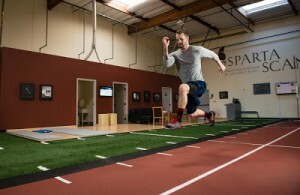 For everything SPARTA, check out their official site at www.spartascience.com. Also, be sure to bookmark www.spartascience.blogspot.com, updated every Monday and Wednesday by Wagner and Troester with the latest on training, injury prevention, and insights into the world of SPARTA.